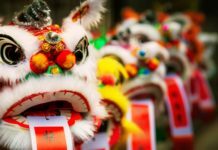 Chinese embroidery has a long history since the Neolithic age. Because of the quality of silk fibre, most Chinese fine embroideries are made in silk. Some ancient vestiges of silk production have been found in various Neolithic sites dating back 5,000-6,000 years in China. Currently the earliest real sample of silk embroidery discovered in China is from a tomb in Mashan in Hubei province identified with the Zhanguo period (5th-3rd centuries BC). 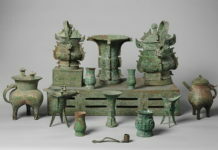 After the opening of Silk Route in the Han Dynasty, the silk production and trade flourished. In the 14th century, the Chinese silk embroidery production reached its high peak. 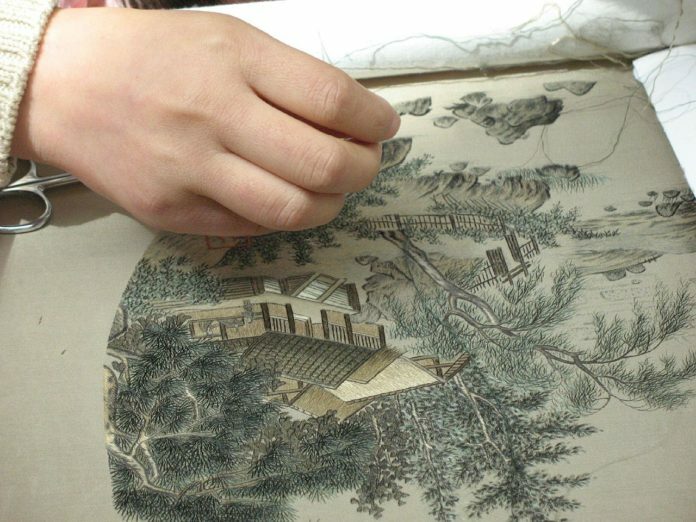 Several major silk embroidery styles had been developed, like Song Jin (宋锦 Song embroidery) in Suzhou, Yun Jin (云锦 Cloud embroidery) in Nanjing and Shu Jin (蜀锦 Shu embroidery) in Sichuan. Today most handwork has been replaced by machinery, but some very sophisticated production is still hand-made. Modern Chinese silk embroidery still prevails in southern China. Chinese embroidery is one of the traditional Chinese handicrafts. 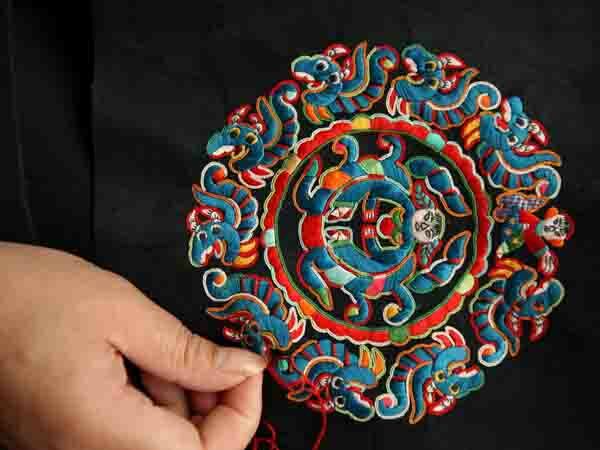 The handicraft is that girls use the needle threaded colorful strands thread exquisite patterns and characters on cloth. Chinese embroidery has a long history in China. In ancient times, Chinese girls in towns and cities had to learn the embroidery skill at their early age, which will give them an advantage when they are going to get marry. Embroidery was first developed by local women to decorate their clothes, pouches and bedclothes. The themes of Chinese embroidery are mainly flowers and birds. 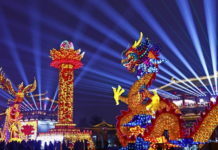 With its designs rich in life and full of colors, it has gradually developed into a national art. What’s more, China’s large production of silk has promoted the development of embroidery and brocade art. Early embroidery had the design and patterns only on one side, while the reverse side had irregular stitches and thread ends. 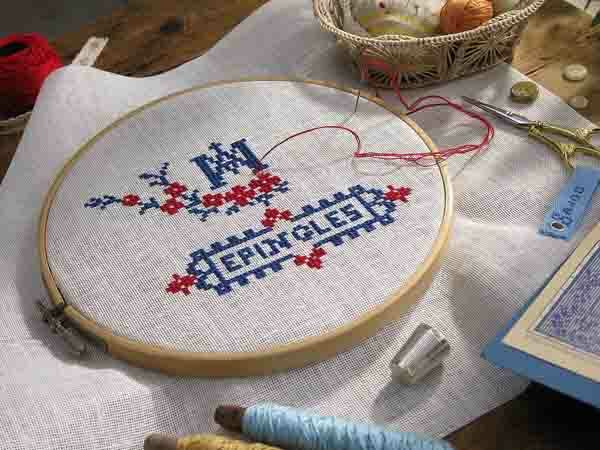 Later the skills of the double side embroidery evolved. Both sides of embroidery can be displayed in the same design and different colors. For example, a peony design would be red one side and yellow on the opposite side. The four most famous types of embroidery in China are from Jiangsu, Hunan, Guangdong and Sichuan Provinces. The most famous styles of brocades are Yunjin from Nanjing, Songjin from Suzhou, amd Shujin from Sichuan. There are other well known styles of brocade made by minority peoples, such as Zhuang people in Guangxi, Dai people in Yunnan, and Li people in Hainan.